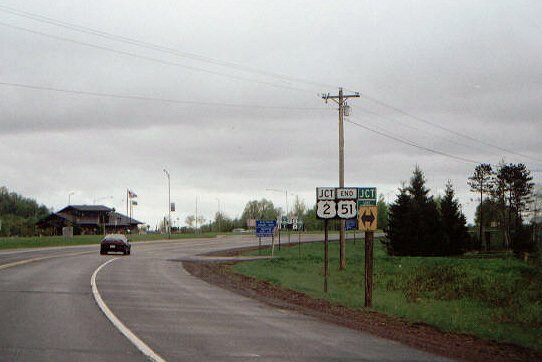 Signage for US 51's northern end in Hurley, WI. The partially-hidden green sign is for the Lake Superior Circle Tour. Photo by Jody Aho.